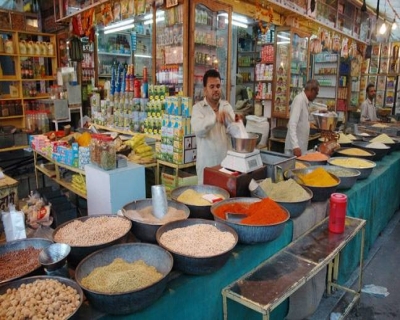 India’s GST Council has decided upon a 4-slab tax structure of 5 per cent, 12 per cent, 18 per cent and 28 per cent, with lower rates for essential items and the highest for luxury and demerit goods. Though the agreed GST rate structure deviates significantly from the idea of “one nation, one tax”, it is good enough for India to start with. The common man stands to gain the most. What rates has the GST Council announced? 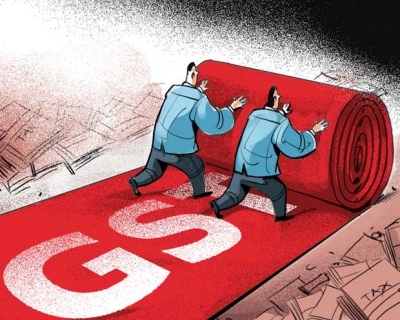 GST Council on Thursday decided to fix a four-tier rate structure for the Goods and Services Tax, the reform touted to be the biggest after the economic liberalization of 1991. The four bands of tax rates have been fixed at 5 percent, 12 percent, 18 percent and 28 percent. This apart, another category of tax between 40 percent and 65 percent will be imposed on luxury goods like high-end cars, pan masala, aerated drinks and tobacco products. Food grains will be zero-rated to insulate people from inflationary pressures. Most white goods, like washing machines, air conditioners, refrigerators, shampoo, shaving stuff and soap, will be taxed at 28 percent (with riders). The current levy varies between nil tax and 30-31 percent. The rider has been set as there are several items which are used by the lower middle class. While the Centre proposing to levy a 4% GST on gold, there has been no consensus yet on it. A decision has also been taken to levy a cess (ax earmarked for a particular purpose) in order to raise funds to compensate states for the revenue losses they will incur. 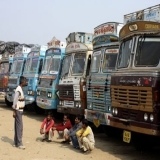 The government estimates Rs 50,000 crore will be needed in the first year for compensation. "If we have to raise this by way of tax, we will need Rs 1,72,000 crore," Finance Minister Arun Jaitley estimated. However, Jaitley clarified that the cess, to be applicable on luxury cars, tobacco, aerated drinks etc, is not an additional levy, but an existing one and "there will not be an additional burden of even a rupee". A cess is not shared with the states. The cess, he said, would be lapsable after five years. Demerit goods or sin goods such as luxury cars, pan masala, aerated drinks, and tobacco and tobacco products, will invite a tax of 28 percent plus the cess. The overall incidence with cess, thus, could vary between 40 per cent and 65 per cent. Note: Zero-rated goods are products on which value added tax (VAT) is not levied. Countries often designate goods as zero-rated because the goods are leading contributors to other manufactured goods. Many food items are designated as zero-rated goods; these food items are sold with a 0% value added tax. A sin tax is specifically levied on certain goods deemed harmful to society (called demerit goods), for example alcohol and tobacco, soft drinks, fast food and gambling. 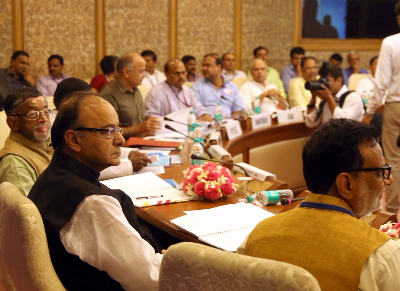 Why has the GST Council opted for a 4-tier tax structure? The principal rationale behind the 4-tier tax structure is that items which are presently taxed at rates closer to the range of each of the slabs will be fitted into the particular rate of the slab. Those currently taxed below 3 per cent as the total tax of the Centre and the States will be taxed at a zero rate. Those between 3-9 per cent will be taxed at a 5 per cent rate, those between 9-15 per cent will be taxed at 12 per cent and there would be a standard rate of 18 per cent. The objective behind exempting tax for food grains is to ensure that the GST structure is not regressive or burdensome on the common man. There are presently several items mainly used by the more affluent which are currently taxed at a VAT of 14.5 per cent and an excise of 12.5 per cent. If the cascading effect of these taxes and octroi is added, then range of taxation of these products is between 27 and 31 per cent. It has been proposed to the Council to fix the rate of these items at 28 per cent. Some of the items which are now being used by the lower middle classes will eventually be proposed to be shifted to the 18 per cent bracket. Different items used by different segments of society have to be taxed differently. Otherwise the GST would be regressive (increase income inequality). Air conditioners and gas stoves cannot be taxed at the same rate. Total tax eventually collected has to be revenue neutral. This means that the Government should not lose money necessary for expenditure nor should it make a windfall gain. 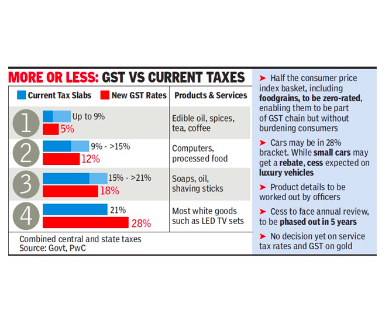 When can we see the impact of GST? Arun Jaitley will seek parliamentary approval for bills later this month, when the winter session starts, that would set the rate and scope of the GST. State assemblies must also approve similar bills for the tax to enter force as planned on April 1, 2017. The impact of GST rates on inflation is uncertain as yet because is it is not yet known what items will fall in each tax bracket. It is for the Committee of Secretaries to decide that. This is what the industry is also keenly awaiting. As India Ratings and Research Chief Economist Devendra Kumar Pant says, "The impact of GST on inflation and different sectors of the economy can be evaluated only after the committee of secretaries decide on GST rates for different products." The overall impact on the consumer price index (-)0.6 percent. The break up: on health services 0.56 percent; fuel and lighting 0.05 percent; clothing 0.23 percent; transport (-)0.65 percent; education (-)0.08 percent; housing (-)0.09 percent. 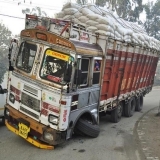 According to Rajeev Dimri, Leader, Indirect Tax, BMR & Associates LLP, “The inflationary impact on standard rated commodities should be minimal but services may become dearer by getting pushed to 18 percent slab." The cascading impacts on taxes on many items will disappear; tax compliances will increase since every transaction will be recorded at every stage by the GST infrastructure. 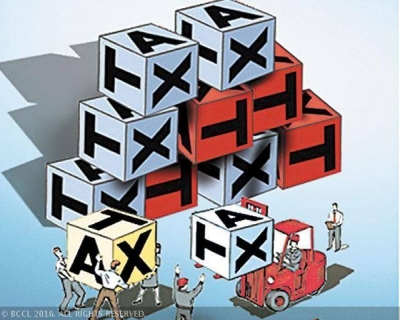 Foreign investors will be more comfortable to look at India with a simplified tax structure. The many state levies such as entry taxes and octroi will vanish. What is critical to watch is how effectively the new system can encourage compliance of indirect tax payers since the whole compensation formula works on collection of cess in the initial five years. If the tax collections do not pick up as expected, then the government will face a crisis, notwithstanding the gains of GST for the economy (expected 1-2 percent jump in GDP over the long-term). Where does the criticism stem from? 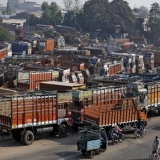 Complexity: A GST structure with rates of 5 percent, 12 percent, 18 percent and 28 percent, additional cess over the peak rate and the requirement of multiple registrations in each state for the supply of goods and services would implicitly mean that the complexity of Indian tax regime is here to stay. In other words, this is a significant dilution from the original idea of a historic indirect tax reform to a single rate. The multi-tiered structure will also create numerous classification issues in a rapidly changing economy with entrepreneurs innovating with their products and services on a daily basis. Further, this structure is more likely to produce rent-seeking opportunities and less likely to encourage compliance. However, the GST council didn’t really have many options in hand to fix a single tax rate. In a vast country like India, which is geographically and economically diverse, it isn’t easy to arrive at one single rate unlike some of the developed countries which are smaller in size. But, eventually, some of these slabs can be merged with a lower band. Levy of compensation cess: Rajeev Dimri of BMR said commenting on compensation cess: “Levy of Compensation Cess on certain luxury and sin goods in addition to tax takes GST is taking a step backward from a true GST structure. 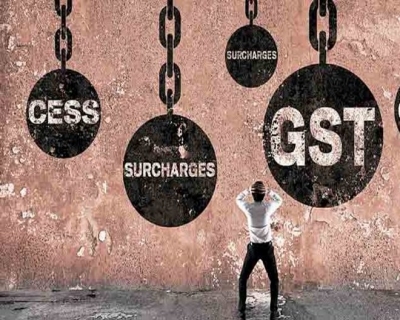 Though proposed for initial five years, this would transit the complexities of existing tax regime to GST which could have been easily avoided." Services may become expensive: The finance minister announced a standard tax rate of either 12 percent or 18 percent but did not clarify as to what the rate structure would be for services. Experts expect services to be pushed into the 18 percent standard tax slab. If so, they would become more expensive (the current rate is 15%). Note: Rent-seeking is the use of the resources of a company, an organization or an individual to obtain economic gain from others without reciprocating any benefits to society through wealth creation. The common man stands to gain with essential items which will either be excluded from the GST or accommodated in the 0-5 percent bracket. Corporations will have to wait for the final list of classification to know the actual impact on their finances. However, the expectation is that the FMCG sector is going to benefit the most. The goods of the FMCG (fast moving consumer goods) sector are likely to be in the 12 to 18 percent bracket, which will be a significant benefit for the sector as currently it is taxed higher. With supply chain optimization, we can expect a reduction in the price of the goods of this sector. On the other hand, the clear loser would be auto industry. The industry expectation was that there is going to be a bump up in sales because auto sector was expected to move down from around 24-25% on average taxes to around 18%, but now it will actually be going up to around 28%. “The bigger beneficiary of GST will be the whole economy per se with transportation cost coming down, number of warehouses coming down. These benefits will play over a period of time. The biggest thing and also the biggest beneficiary of the GST is movement of industry from unorganised to organized,” says Nischal Maheshwari, Head Institutional Equities, Edelweiss Securities. How is the GST being termed revenue neutral? 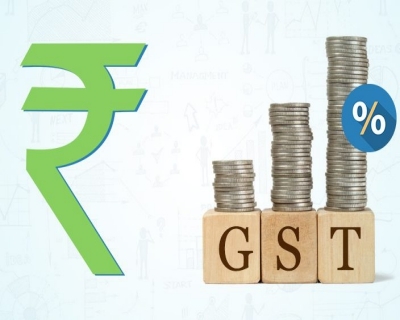 Revenue Neutral Rate in GST is a tax rate which seeks to achieve and garner similar revenue under the newly implemented tax structure as collected from taxes which are sought to be subsumed and were in force prior to the implementation of the new tax structure. Thus, the basic objective of the Revenue Neutral Rate is to prevent the newly implemented tax structure having negative revenue implications. The primary objective for implementation of GST is not mobilization of additional resources but reforming of the prevalent tax structure in India. But, any tax reform even though based upon a rationale principle, first seeks to achieve Revenue Neutrality. Commenting on the rate structure, Chief Economic Adviser Arvind Subramanian said that it has been designed in a way that will protect people at the lower-end. GST rate structure will be “more than revenue neutral”, he asserted. The revenue-neutral-rate of GST is working out to be around 17-18%, which is considerably higher than the 15-15.5% that the chief economic advisor (CEA) recommended as being non-inflationary.